Home » The UK » A great event is coming! During the summer, there are lots of Festivals and Events in this lovely city where we live in! The next one is the Bournemouth Wheels Festival which we talk about in this blog post. We hope that you enjoy it! The Bournemouth Wheels Festival comes, local people are so excited because tons of people are coming to participate in this amazing program. It’s a huge event in the UK; Families are coming all over England to visit for absolutely free of charge. We can say that this is the biggest free family wheels-themed festival in the UK. A stunning Pier Jump on a motorbike – a ramp is placed on sand on one side of the pier and the rider literally jumps to the other side. A classic car pageant from 10am each day – a chance to see some beautiful cars in all their glory. This zone will also be home to the Dakar Rally desert driving display from the Excite Rallye Raid Team, which will be kicking up some sand three times a day. Rounding off Zone One are military vehicles, showing some of the kit that is used every day by the armed forces. The Monster Truck show four times each day. 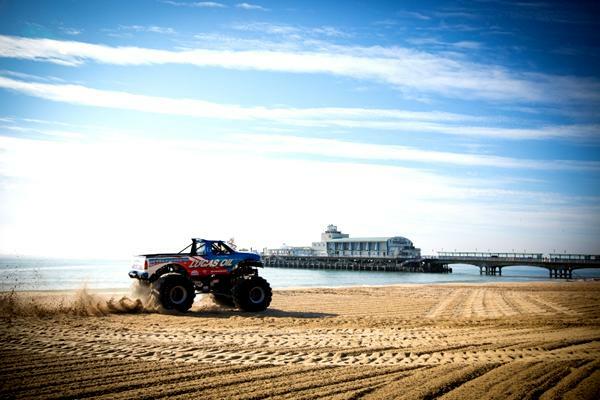 Zone Three, which is east of Bournemouth Pier and home to the Action Sports Arena. Team Extreme will be showing that you don’t need an engine to excite the crowds, as they show off their skills on BMX, skateboards, rollerblades and more. Bournemouth is a lovely city to live in. It’s a colourful and multicultural city that organizes lots of free events all year round, especially during the summer time. We will keep you updated of any upcoming event this season, don’t miss them! It’s a great opportunity to meet people from all over the world and enjoy doing outdoor activities totally free of charge! Fireworks, workshops, Food Festivals are coming soon to Bournemouth! World Choice Education will be attending at all of these events! Do not hesitate to contact us if you want to join us, you are more than welcome! We look forward to meeting you and enjoy together the British summer in the hottest city in the UK! By worldchoiceeducation in The UK, World Choice Education on May 22, 2014 .